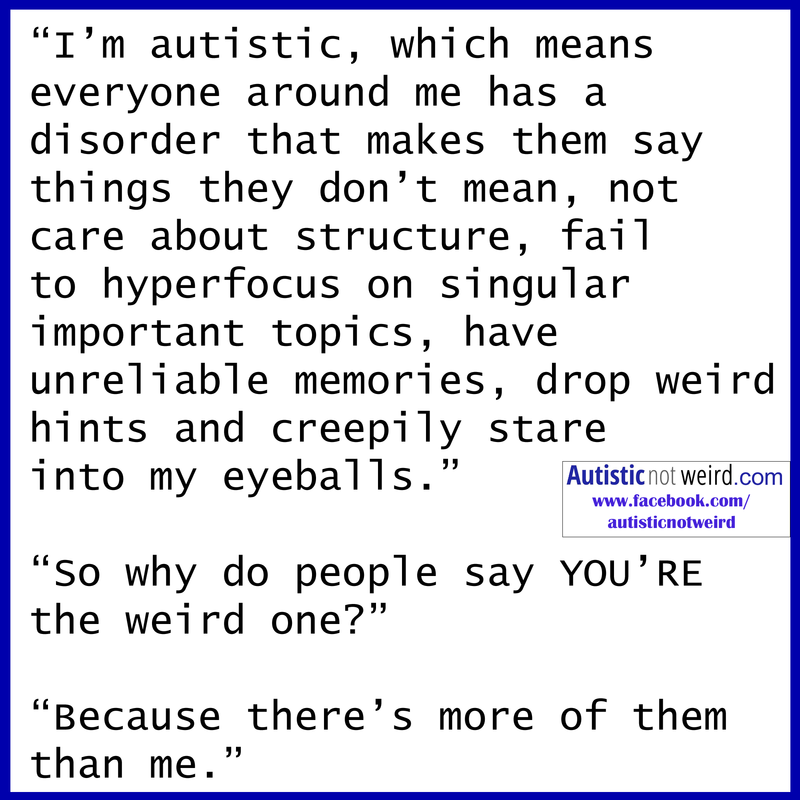 According to the experts, I’m not autistic, but I can relate to this well. It reminds me of how I felt throughout much of my life. I still do feel this quite often, but time has helped me learn how to figure out what the rest of you nutters mean sometimes. Found thanks to Leah Marie Zeppos.